Since 1953, RainSoft has manufactured premium residential water and air treatment systems. Our state-of-the-art equipment can be found in homes throughout Milwaukee, WI, across North America, and around the globe. Homeowners choose RainSoft because our products are made to rigorous standards and guaranteed to last a lifetime. For example, every RainSoft water softener, whole-house water filtration system, drinking water system, and home air purification system is assembled in the U.S.A. and independently tested for quality. We also back our products with one of the most robust warranties in the business, and train our dealers to offer unsurpassed installation service and warranty coverage for the entire RainSoft product line. 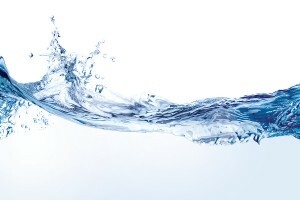 Water softener – RainSoft water softeners use a process called ion exchange to make “hard” water “soft.” We offer both automated and timer-controlled models. Drinking water system – Our premium drinking water systems produce crisp, ultra-clean water that is perfect for drinking and preparing meals. Available models include the Ultrefiner II and the Hydrefiner. Whole-house water filtration system – We offer a variety of whole-house water filters that can remove iron, sulfur, sediment – virtually any impurity that is present in your local water. Home air purification system – Unlike mechanical filters, the AirMaster Ultra household air purifier from RainSoft actually kills or sterilizes most contaminants, including mold, viruses, fungi spores, and dust mites. It also neutralizes unwanted odors from cigarette smoke, family pets, and cooking. These premium RainSoft products will greatly improve the quality of life for everyone in your household. RainSoft has long been dedicated to making quality products and building a superior worldwide dealer network. To learn more about our products and schedule a complimentary in-home water- and air-quality test, contact your local authorized RainSoft dealer in Milwaukee, Wisconsin.